PetStay – The Five Star Franchise! 5* Franchisee Satisfaction Award run by Smith & Henderson. Carole Davy, Managing Director and PetStay founder said “We are incredibly proud to have won this prestigious award and to be recognised for our franchise model, training and on-going support along with our branding and the excellent relationships we have formed with our franchisees. It is such an important award for PetStay as it comes from our franchisees. 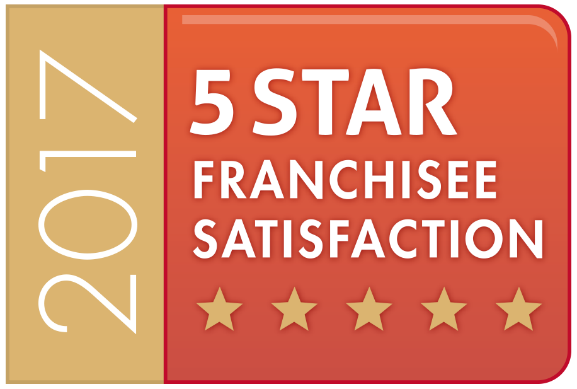 Although 5 stars have been achieved we are always looking to continuously improve and develop further to help the franchisees to successfully grow their businesses. PetStay have been established since 2005 but franchised the home-based business in 2012 and now have 35 branches nationwide with over 500 home checked, licensed & insured dog carers. Over the years PetStay has established an excellent reputation for providing a home from home environment for dogs, using hand-picked local carers who provide the best possible care for dogs while their owners are away on holiday. Each of our franchisees have their own team of dog carers. After an in-depth consultation with the customer they then match the dog/s to one of their carers, next they organise a meeting for the customer to go visit the carer to make sure everyone is happy, this is a good time for the holiday dog/s and carer to bond and hear all about their routines. PetStay have a policy of not mixing dogs from different households so the service is exclusive to them. We aim to grow to 50 branches by 2019 and are interested in hearing from anyone who would like to join one of the leading pet franchises in the UK. We are looking for hard working, self-motivated individuals with a passion for dogs and the drive and determination to succeed. If you enjoy giving excellent customer service and want to provide the very best home dog boarding service in your area, we would like to hear from you. You’ll have a head start with PetStay, we want to work with people who believe in our service and have a genuine love for dogs. Please email info@petstay.net for our franchise prospectus or call Carole on 01482 307684 for an informal chat with a member of the PetStay Team.